How is Diwali celebrated in countries other than India? Lord Ganesha or Hindu god ganesh or Ganapati is popular throughout the South Pacific region of India, Nepal, Thailand, and Sri Lanka. People of different religions such as Jainism, Buddhism, and Parsi religion worship him besides those of the Hindu religion. Every Hindu ritual begins by the worship of Lord Ganesha first. In fact, you have the statue of Ganesh over the main door of the house. In appearance, the god appears as a human with the head of an elephant. He has four arms, one to bless his devotees, one holds an axe, another has a lotus flower, and the fourth one has a Modak (a sweet made of rice or wheat flour with coconut and jaggery filling). 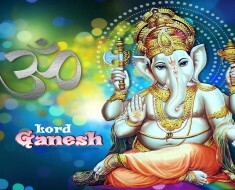 Ganesha is the remover of all obstacles and the god of beginnings. He is also the god of intellect and wisdom and the patron of science and arts. You find many stories relating to his birth and exploits. 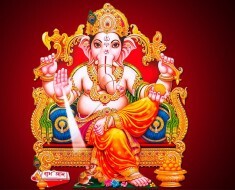 The emergence of vinayaka as a distinct identity occurred between the 4th and 5th centuries. He became one of the five distinct deities of the Hindu denomination Smartism in the 9th century. Another name for Ganesha in Tamil is Pillaiyar. This means noble child. Unlike some deities, the icon of Bhagwan Ganesh keeps changing with time. And, in a similar fashion, the explanation of how he acquired an elephant head changes from place to place. In the Gupta period 4th to 6th century, the lord Ganesha images are with a pot-belly. Here the distinctive feature seems to be the broken tusk and his second incarnation as Ekdanta or single tusked. This is depicted clearly in the Mudgala Purana where they show two other incarnations of hindu god Ganesh, one as Lambodara or the pot-bellied or hanging belly and the other as Mahodara or the great belly. 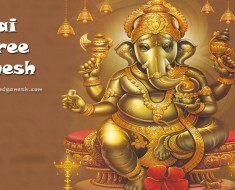 If you worship Hindu god ganesh, he brings good fortune to your personal and professional life. His pooja helps you become wise and knowledgeable. The souls of the worshipers are purified by the grace of Hindu god Ganesh. Your Financial difficulties may be resolved easily by performing Ganapati pooja and you can gain great success in their business. He Helps to control the influence of the Rajas and Tamas Gunas of the worshipers. Activates the Adnya Chakra of the devotee. His pooja is must before the pooja of any other God and before starting any new professional ventures. 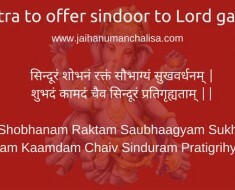 By doing ganesh puja, you can earns the grace of God Shiva and Parvati. 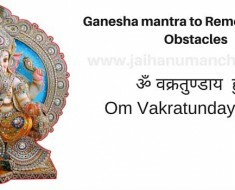 By worshipping Lord Ganesha one can overcome obstacles. His worship improves knowledge and intelligence. By worshipping him one can overcome fear and anxiety. Hindu god ganesh protects his devotees from trouble makers. There is the story that when Goddess Parvati went to visit her husband, he was in deep meditation and did not want to be disturbed. So, the attendant Nandi stopped her. Parvati was hurt, and she decided to make a handsome young man for herself. She moulded this out of clay and breathed life into the form and Ganesha was born. She asked him to guard while she bathed. Shiva came at that time and was not aware of the newly created Lord vinayaka. There was a fight, and Shiva beheaded Ganesha, but then he came to know who Ganesha was and quickly attached the head of the first creature he saw, an elephant. One legend says that Hindu god ganesh was created from the laughter of Shiva. The story of the broken tusk is also equally fascinating. Once when Shiva was in meditation, he had Ganesh guard him. At that time, Lord Parashurama came to visit him. Now, Parashurama was an incarnation of Lord Vishnu. Ganapati following his father’s order obstructed Parashurama who in his anger threw an axe at Ganesha. The axe was a gift from Lord Shiva, and Ganesha knew it. So, he let the axe hit him, and this broke his tusk. 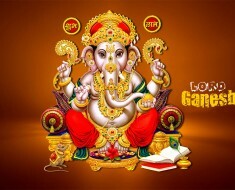 As for the number of arms, the usual form depicts Lord Ganesh with four arms. However, they could be anything from two to sixteen. During the 9th and 10th centuries, Ganesha was depicted with 14 to 20 arms in Central India. The earliest image of the Lord Ganesha has only two arms. Another common feature one sees in the Ganesha statue is the serpent feature. As per the Ganesh Purana, Ganesha wrapped the serpent Vasuki around his neck. At some places in India, the snake is shown in the form of a sacred thread. 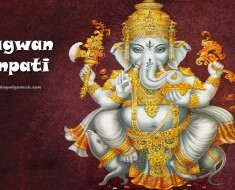 Sometimes ganapati wraps the snake around his stomach or holds it in his hand. Sometimes it lays coiled at his ankles or at times he uses it as his throne. The other distinctive features of Ganesh include the tilaka or the sectarian mark, the third eye. This consists of three horizontal lines. At times, you may see the moon on the forehead in the Balachandra version of the incarnation of Ganesha. The vahanas (vehicles) of Ganesh are also as varied as the depictions of the icon. 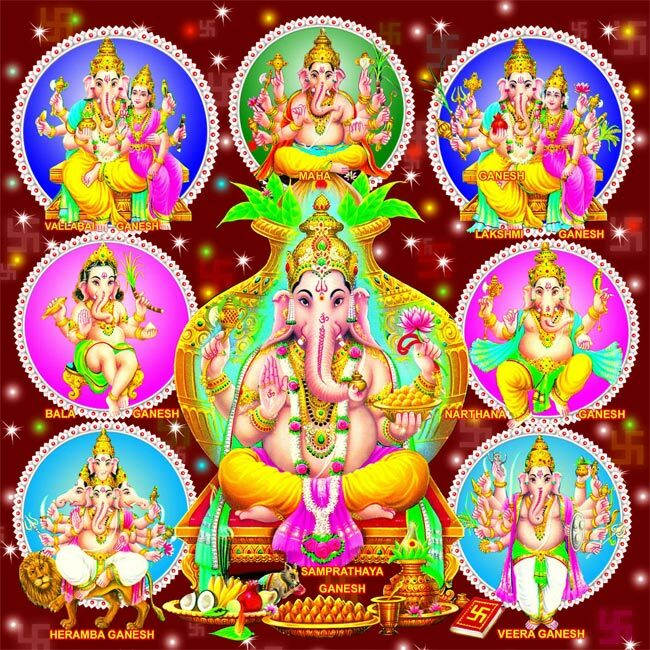 We see in the Mudgala Purana that Lord Ganesha has eight incarnations. Of these, in five of them, ganapati uses a mouse or a shrew as his vehicle. In these avatars, Ganesh is shown riding a mouse or a shrew or accompanied by a mouse. When he is in the Vakratunda incarnation, he rides a lion. When he is shown in the Vikata incarnation, he is shown riding a peacock. And in his incarnation as the Vighnaraja he rides the divine serpent. The principle literature written to Lord vinayaka include the Mudgala Purana, Ganesha Purana, and Ganapati Atharvashirsa. Hindu god ganesh has killed many demons and freed the earth from many perils. 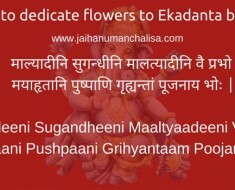 When a person faces grave danger, they should offer red flowers to Lord Ganesha. 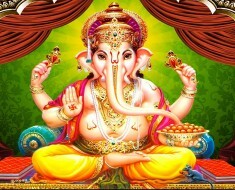 The holy days associated with Ganapati are Sankashta Chaturthi, Vinayaka Chaturthi, and Angarak Chaturthi. The other famous Ganesh festival is in the month of the Bhadrapad when people bring home clay idols of Ganesha and worship it for a half, five, or ten days. Then, they take the idol to the sea and immerse it in the water.